Eyrún, Steingrímur and Ísleifur together with their families belong to one of the most prominent „Horse families“ in Iceland. Just recently Eyrún and Steingrímur won the “Unique Experience of the year 2016 award" by Luxury Travel Guide. Eyrún and Ísleifur are siblings and live with spouses and kids next door to their parents at Kálfholt farm, situated between Selfoss and Hella in South Iceland. To visit them it takes about an one hour drive from Reykjavík through the fertile farmland of the South, which has become the „horse mekka“ of South Iceland. It is not easy to find a family in Iceland that has „more horsemad“ members than the Kálfholt family. Visiting them at their beautiful farm with amazing views to the great glaciers of the south, it seems like „horse talk“ is the only relevant subject! But there is more to them – as we found out! Eyrún is married to Steingrímur Jónsson, who was born in 1970 in Reykjavík but was allowed to spend his summer vacation (3 months in Iceland!) on a farm in Borgarfjörður when he was just 6 years old. After that summer, he always knew that he wanted to live in the countryside! Without much support from his family he managed to buy and keep his first horse when he was only 12 years old. At 16 he joined the famous trainer Benny Lindal (known by many from Benny´s Harmony tack) and started working for him – both as a trainer and as a guide on mountain tours with foreign guests. He finished his courses at Hvanneyri Agricultural University in 1990 and in 1994 he received his FT certification (Félag Tamningamanna – Icelandic Horse Trainers Assocciation). He and Eyrún met in 1991 when he worked with training young horses at Kálfholt farm. Training young horses during wintertime and organizing mountain rides for Icelandic and foreign guests has been their vocation ever since – clearly a job they do well and still enjoy fullheartedly! Ísleifur Jónasson, Eyrún´s „little“ brother, was born in 1975 and is probably the most „famous“ rider out of the family. From early childhood on horses were his absolute passion and he started training horses already as a young teenager! In 1990 he qualified for the first time to ride on the Landsmót, the bi-annual National Icelandic Horse Competition, the largest outdoor sporting event in Iceland showcasing Iceland’s best horses and riders. And he has qualified for every Landsmót ever since!!! In 2007 he became a certified riding instructor from Hólar Equine University and has since become a very, very popular riding instructor both at Hvanneyri University and as a private teacher. Together with his wife Ingileif Guðjónsdóttir, they run their own training facilities at Kálfholt farm. After training so many horses, does he still have a favorite one? „It can only be Röðull frá Kálfholti, we won the B-Finals at Landsmót 2008!“ he admits! With sooo much horse talk, is there anything else than horses that these wonderful people enjoy? Well, Eyrún and Ísleifur are both highly talented musicians! Eyrún works as an music instructor and a choir leader and Ísleifur sings in no less than three choirs! So travelling with them on a tour will guarantee you some wonderful singing! Steingrímur admits that reading is his passion – whenever there is any time left! And then there is their common love of good food! 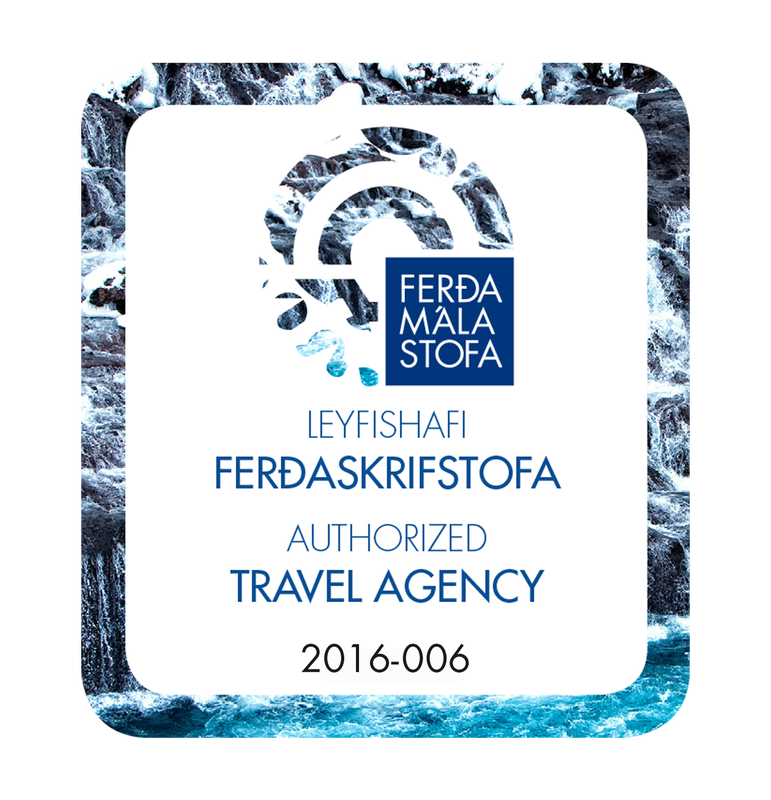 Be it wild salmon fished by Ísleifur or any other Icelandic delicacies! With no doubt we can assure you that going on a riding tour with this warm and lovely family you will be taken care of by expert horsemen and will enjoy super singing and excellent Icelandic home cooked meals in addition!